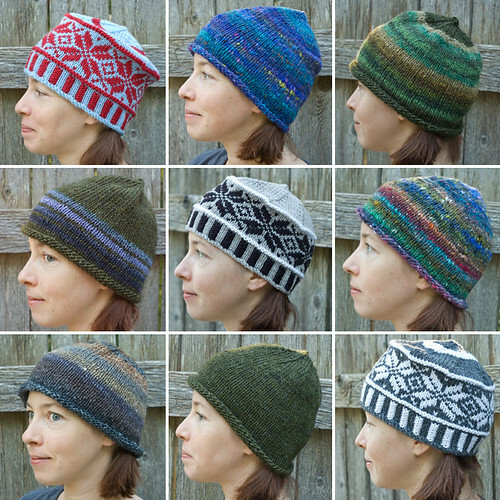 Now that I’ve started to make spinning a more regular part of my routine again, it’s finally time to share some of the finished yarn that I’ve spun in the last couple of weeks. 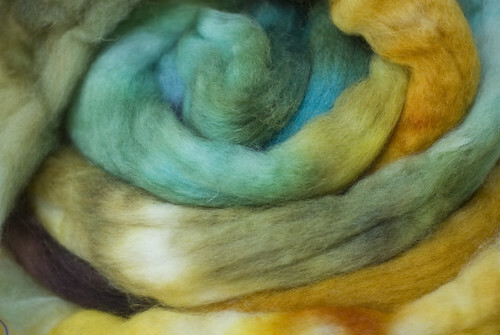 It’s been fun mixing up the types of fibers, the colors, the amounts, feeling my hands and feet work together in the old familiar rhythm. These first two projects are from fiber sent to me by Ted. (Thank you!) 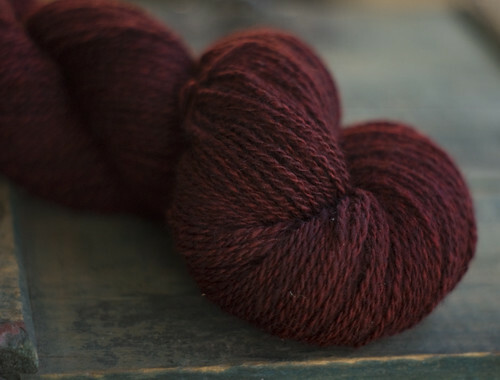 A cozy 50/50 blend of merino and yak, this fiber was dyed a rich, deep, wine color that is hard to capture digitally. 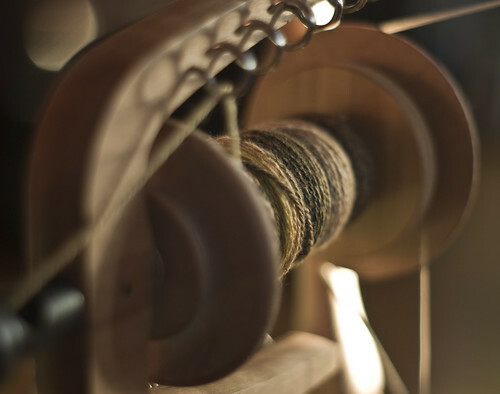 There are approximately 290 yards of 2-ply yarn, spun from about 4.2 oz of fiber. I see a new scarf for next season – something I hope I won’t have to wear for a good long while, but when the time comes, I’ll be ready (and my neck will be nicely wrapped). 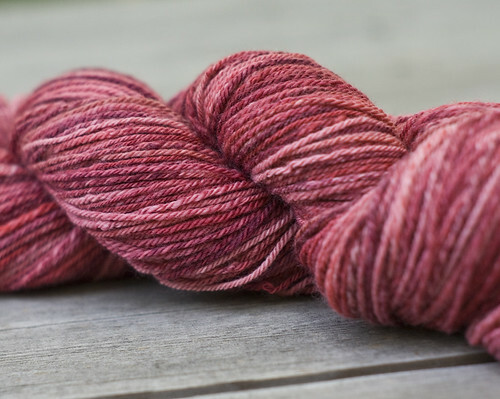 This next skein is another interesting blend of merino and tencel. 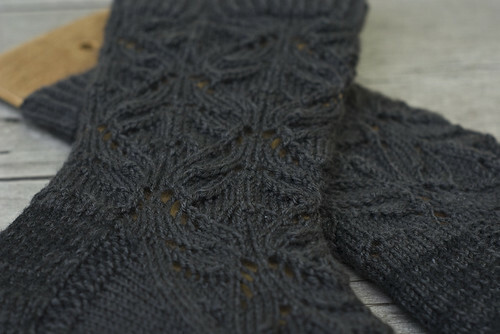 Tencel gives the yarn a silky drape, but the wool adds some loft and warmth. 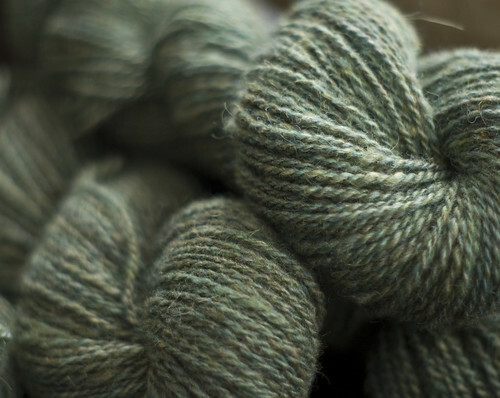 There are approximately 295 yards of 2-ply yarn, spun from about 4 oz. 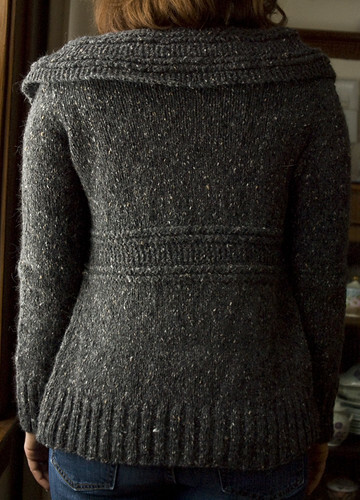 of fiber. 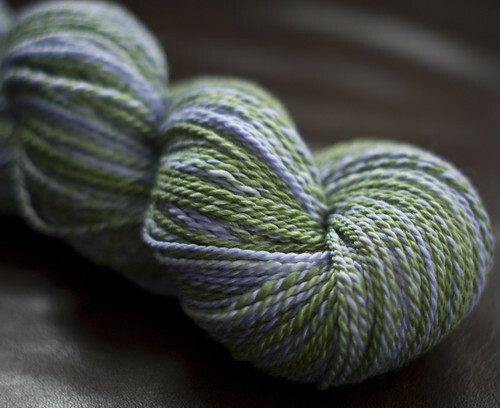 Speaking of exciting packages, delivered to our doorstep was last month’s installment of Hello Yarn fiber. 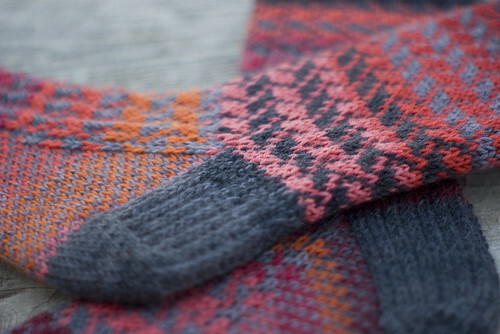 Adrian always has such an amazing way with color, and “Scorch” was no exception. This is from 4 oz. 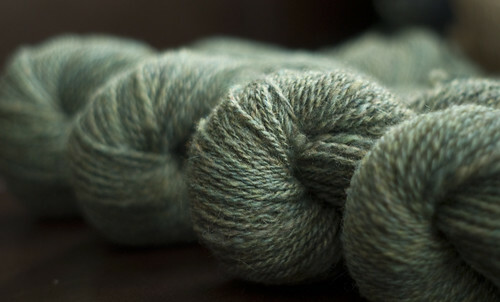 of Bluefaced Leicester, spun and navajo-plied to approximately 340 yards. 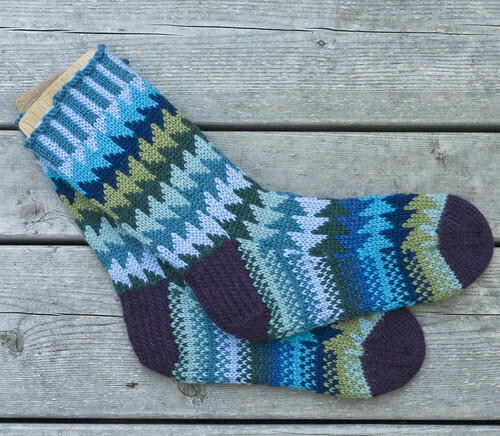 Virginia has already started on a pair of socks, so those will be making an appearance in the not-too-distant future. 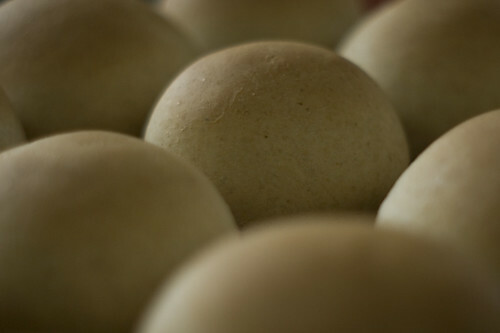 Tonight, while a loaf of bread rises in the kitchen, a whirl (and clack) will be heard emanating from the living room. Hope your Friday night is as exciting as mine. It’s been a long time coming, but I knew I’d eventually get back behind my trusty, albeit neglected, spinning wheel. 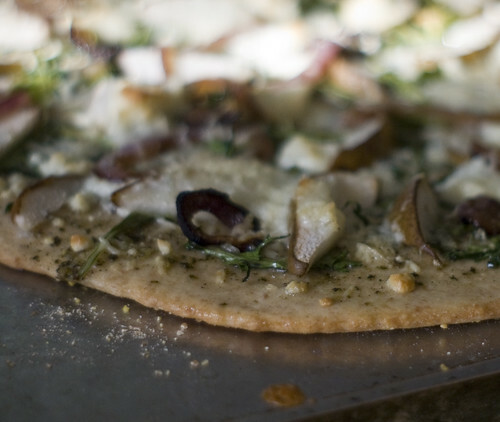 I realized the other day that with the arrival of Spring (or, soon-to-be arrival) would also come fiber festivals. I missed last year’s Shepherd’s Harvest. Even though out of the hospital at the time, my oncologist forbade me to go near anything that might possibly cause or seed some future infection. Needless to say, being around a bunch of livestock, wool and people would have fallen well in to the “forbidden” activities. I plan on attending, and I plan on making up for lost time. Between now and then, however, there is still the problem of space (or lack thereof). Since I still have a healthy stash, I’m going to try my best to make a dent in some of the fiber that’s been marinating for the past two years (has it been that long?). So, to start, I’ve finished two bundles of superwash. 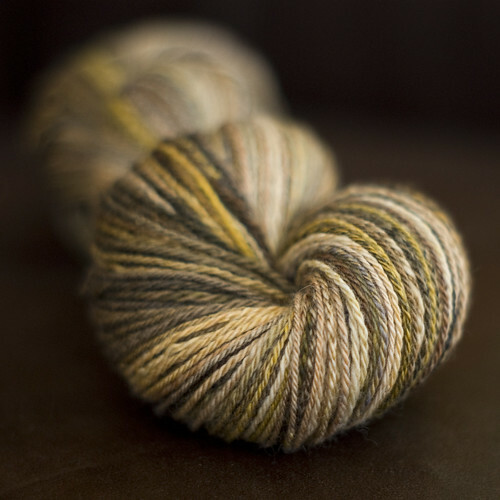 This is spun from 3.7 oz. of superwash colonial top that we dyed ages ago. 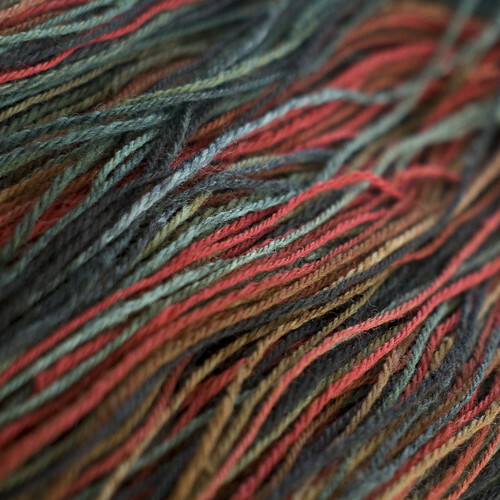 Both skeins are approximately 150 yards of 3-ply (navajo) yarn. 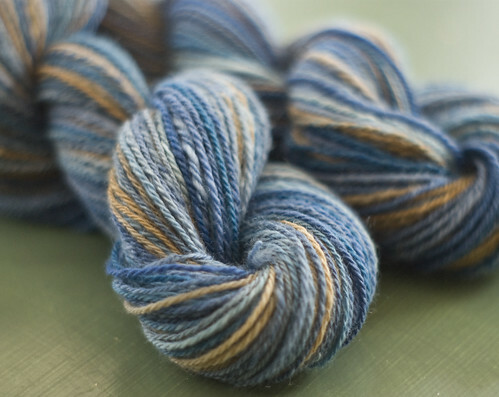 This superwash merino I finished up during the final days of the Winter Olympics. The lines of gold throughout seem appropriate. 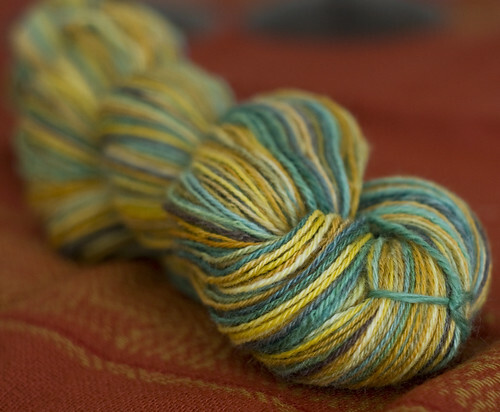 There is about 230 yards on this skein, spun from 3 oz. 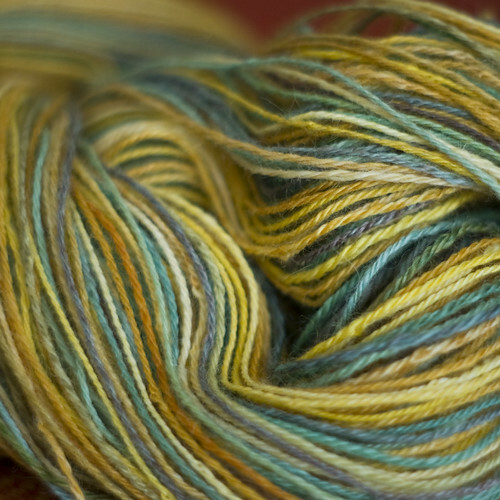 of dyed top, and it is also navajo-plied. And, I’m glad to say, spinning is like riding a bike. Even if you haven’t done it in awhile, finding your rhythm and balance comes quickly.